You can get an improved smile in one visit thanks to same-day crowns, or CEREC crowns. Dr. Jeffrey Kleinheinz of Kleinheinz Dentistry in Charlotte, North Carolina creates your crown in his office to give you the look you want without having to wait weeks. You can make your appointment with Dr. Kleinhenz by scheduling one online or calling his office today. Crowns are caps that are made to fit over an entire tooth. These caps help protect a tooth from damage or cover up a tooth that is cracked or chipped. Traditional crowns can take multiple appointments because they are made outside of the office out of metal or porcelain. Same-day crowns, also known as CERECs, are crowns that are created in one visit in-office at Kleinheinz Dentistry. These are often made of a plastic material and are produced by Dr. Kleinheinz using computer-aided designing and manufacturing technologies. Traditional crowns are made from molds taken of your teeth. These molds are sent away to be made, which is why they take multiple visits to complete and place. For same-day crowns, Dr. Kleinheinz uses a small camera to make a 3D image of your tooth. You’ll then comfortable wait in the office while a computer uses this image to design your crown and a machine then creates your tooth using a ceramic material. Once Dr. Kleinheinz finishes making your crown, he applies it and glues it down – all within one visit! What are the advantages and disadvantages of same day crowns? The biggest draw for same day crowns is the fact you can leave Dr. Kleinheinz’s office with a new tooth. Dr. Kleinheinz is happy to discuss the pros and cons to see which option is best for you. Want to learn more about same-day crowns?  Call Kleinheinz Dentistry today or make an appointment online.